If you receive a half extended season share on the odd-numbered week, this is your last week of regular deliveries. For the outdoor and unprotected sites, we want to encourage you to pick up your box as early as possible due to frigid temperatures. We don’t want your vegetables to freeze during the day/early morning of deliveries. Our greens have thrived right into November. 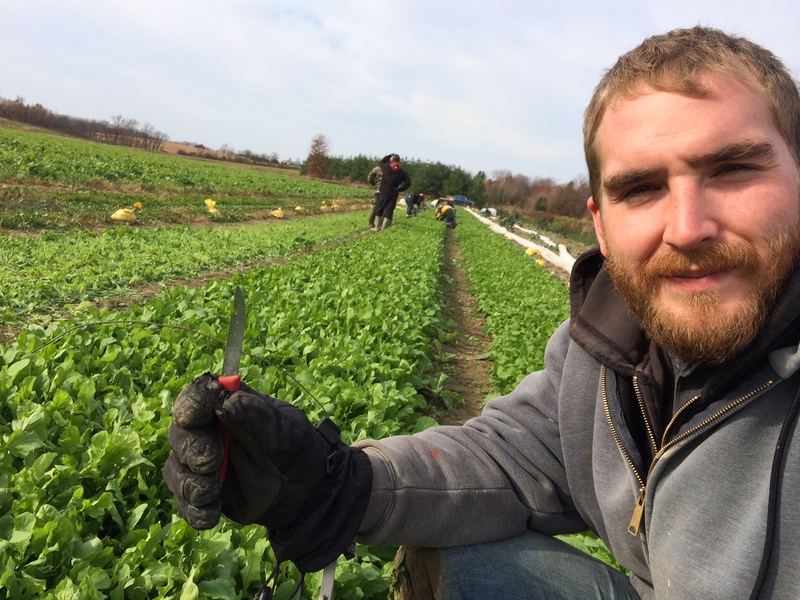 This week, hard frost would have ended them, so we harvested large amounts of salad greens for your box. Normally, the extended season box would present more storage crops and fewer greens, but this warm and damp fall season somewhat reversed that ratio. For those of you who will be receiving a box in the final week of extended season, those contents will be more typical of November. We re-use the vegetable boxes until they wear out. We cannot re-use them if the flaps are torn when breaking the box down, so please be careful when flattening the box. If this is your last week to pick up, perhaps take a couple of bags for on-site transfer of your box contents. Then you won’t have to worry about returning your final box later. Please do this transfer neatly, so your host will not have extra cleanup work to do. At Angelic Organics, we are time-sensitive; I suppose we are time-fanatical. If we weren’t, we wouldn’t get your boxes filled full week after week. We wouldn’t be able to pay our workers a living wage. Of course, efficiency has to be considered with an eye to quality. Efficiency always has to be balanced with the quality of the work–this is a bit of a tightrope—speed on the one hand, excellent quality on the other hand–but one which has to be continually navigated. For sure, someone on the crew might bristle at the emphasis on efficiency, thinking any such pep talk (lecture? admonition?) is exploitive or coercive, but we always emphasize efficiency in the context of what is achievable, what is manageable for the workers. Balance is the key: we encourage our workers to work fast, but not so fast that it wears them out, and not so fast that quality is compromised. Pacing is key: work fast enough to get the job done on time, slow enough to do it well—always seek balance. 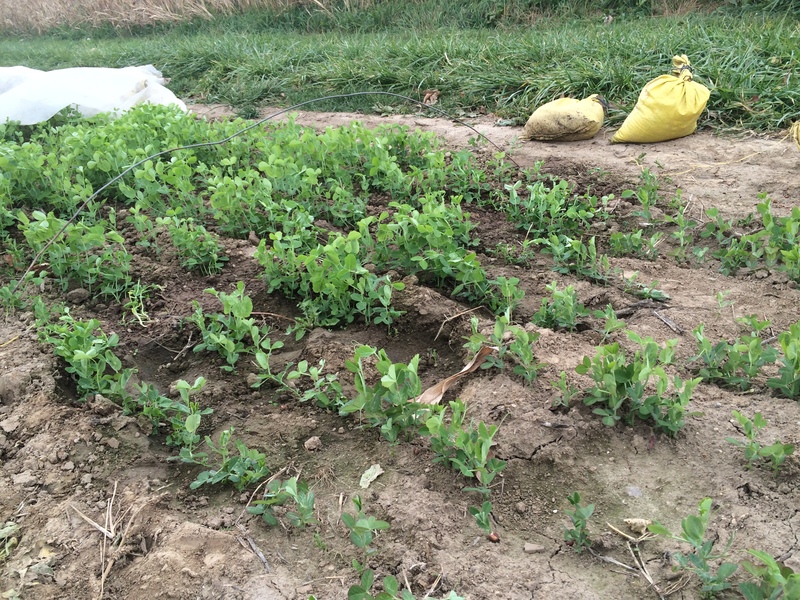 While giving the Stateline Farm Beginnings Class a tour, I pointed to the cover crops of luscious peas in our fields, and I said, “we have no excuse for not being on time planting our cover crop. We could say that we are too busy harvesting and filling CSA boxes, or it was raining too much to get it done, but if the peas don’t go in on time, then we will have less vegetable crops next year, due to lower fertility. Who is going to bear such losses? Will shareholders be content with an apology for a hole in their boxes? Will workers be content with a reduction in their pay because yields are down? I think not. So we strive to get things done on time, no matter what. It is our absolute responsibility to the farm, our employees, and our shareholders. 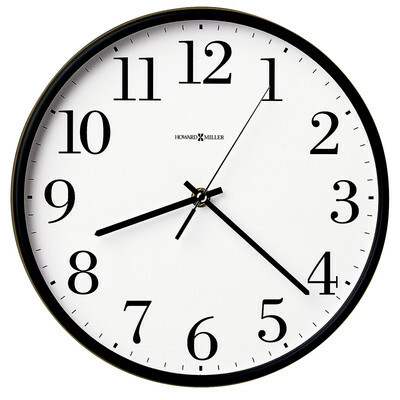 Managing time properly isn’t just about efficiency. It’s also about respecting one other, and about taking care of others properly. Illuminating this aspect of time is a story I wrote for Farm News years back, about Andy Warhol and time: No Dinner for Andy. All remaining crops will be harvested this week. The frosts get harder and harder. 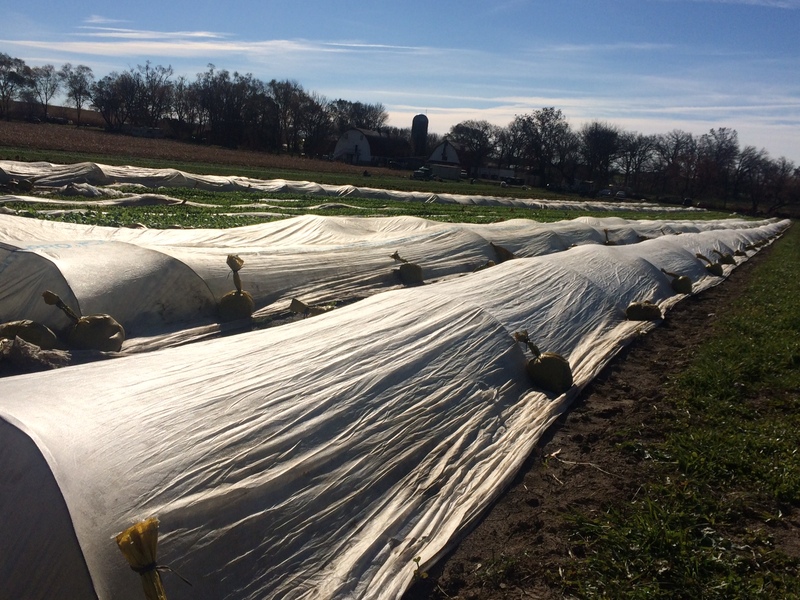 Our double row covers have kept our salad greens snug against frost damage, but they cannot protect the crops against the temperatures forecasted for this week, the mid-teens. It’s time to harvest what’s left. 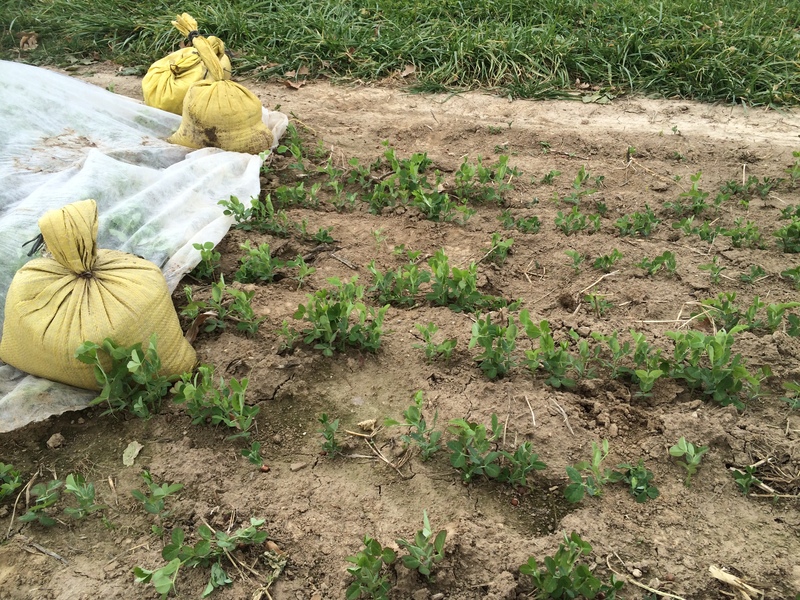 Below you see the contrast between peas that were not covered this fall, and peas that were covered. No more transplanting, seeding, weeding, trellising…just harvesting, packing and tidying up for next year. Our 24th CSA season is winding down. Check out these fun classes for families coming up at the Learning Center this Month! Buck the Black Friday tradition this year with fun, handmade gifts. We’ll have natural materials on hand (many from the farm!) 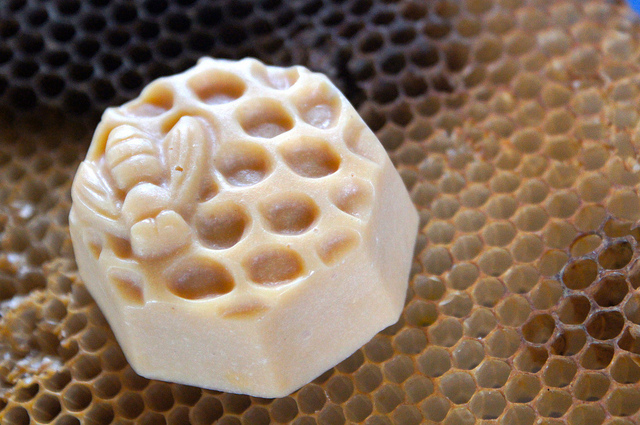 for shaping your own goat milk soap bars, and hand crafting lip balm, herbal bath salts, and calendula salve. Everyone will make 6 of each gift to bring home. Snow date is Saturday, November 28. Plus, we have a special offer: 10% off any and all fall classes! Use the discount code FALL201410AOSHAREHOLDER . Expires on December 1, 2014. Please pre-register for all programs at www.learngrowconnect.org/events.